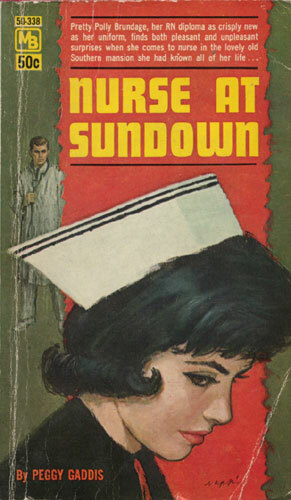 Polly Brundage’s nursing uniform was still too new to swap for a wedding gown… This she tactfully made Gary Maynard see before things went too far. But was it true? Polly promptly closed her mind on Peter, handsome Peter Hamilton, older brother of Polly’s best friend. If Leisa were only at “Sundown” instead of being off in New York…there was plenty of interior decorating to be done right here! And exterior decorating, too.